This illustration is not too difficult to determine the meaning of, although there are many people that could have somewhat similar perceptions of this illustration. 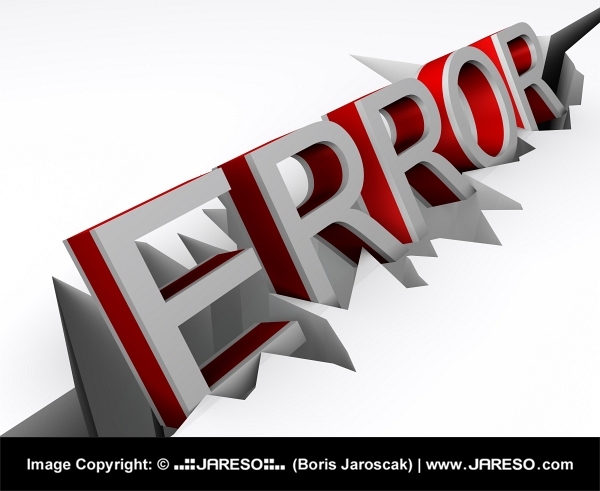 Anyhow this illustration shows the word Error in 3D grey letters that are outlined in red which gives it a bold appearance. The red color is usually a color of alertness to get the reader’s attention. 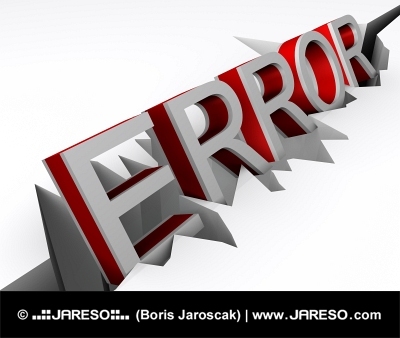 We often see the word Error on our computers nowadays when something goes wrong. There is also a crack that the word Error sits in; a crack would represent a problem or existing fault.